Acrocanthosaurus is a theropod dinosaur in the family Carcharodontosauridae within the superfamily Allosauroidea. 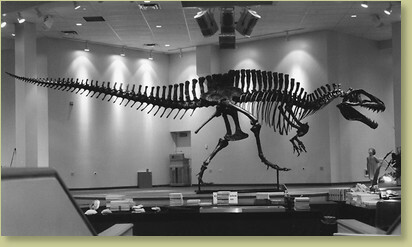 Only four Acrocanthosaurus specimens have been found, all from Texas and Oklahoma. 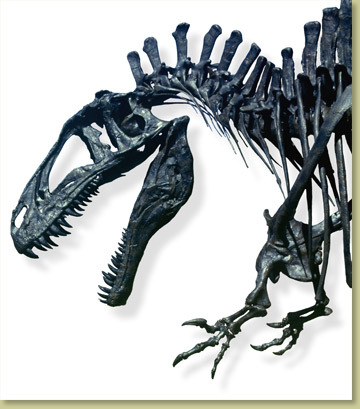 The arms and shoulders of Acrocanthosaurus are much larger and more heavily muscled than the arms of Tyrannosaurus rex. Acrocanthosaurus has extremely long vertebral spines along the neck, body, sacrum and proximal tail. Preparation of this specimen was notably more difficult than many dinosaurs due to the abundant pyrite (iron disulfide), which added thousands of hours to the preparation. This specimen has nearly complete arms and shoulder girdles. The skull is one of the most complete dinosaur skulls preserved in any museum. Acrocanthosaurus was the terror of the Early Cretaceous in North America. 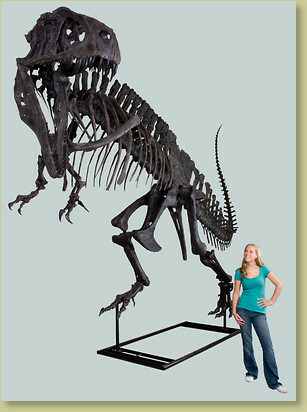 This magnificent rare dinosaur can be mounted in any "lifelike" pose. The steel support structure is almost entirely hidden. The mount is modular (about 50 pieces) and can be assembled by six people in as little as one hour. 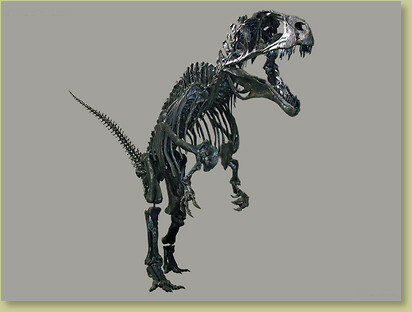 Check out the Acrocanthosaurus Interesting Info page for more info on this specimen. 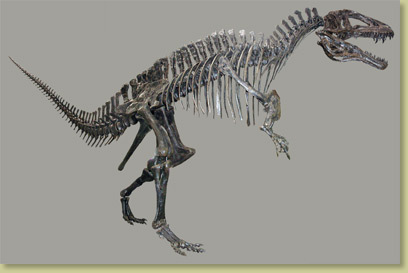 Credit The original skeleton was prepared by Black Hills Institute and is now on display at the North Carolina Museum of Natural Sciences in Raleigh, NC, USA. Notes Approximately 6 months for production. 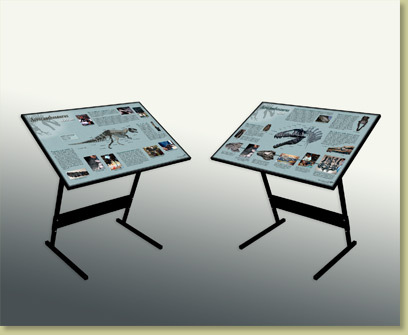 Optional framed display posters and steel stands.